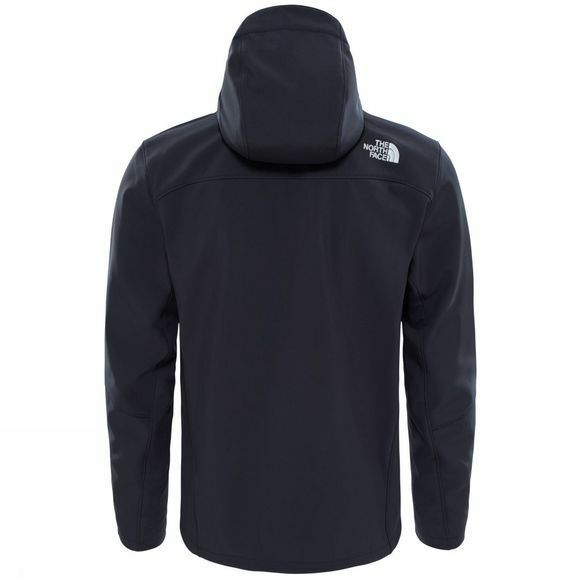 A hooded version of the popular jacket, The North Face Men's Apex Bionic Hoodie keeps you protected from harsh, cold conditions. The softshell fabric features the acclaimed TNF Apex ClimateBlock fabric, wind permeability rated at 0CFM for total defence against howling headwinds as you walk or ride, and it is highly water resistant for good measure. A fleece backer and stretchy fit ensure supreme comfort, a hem cinch cord guarantees a snug fit and chest and hand pockets provide storage space for essentials. 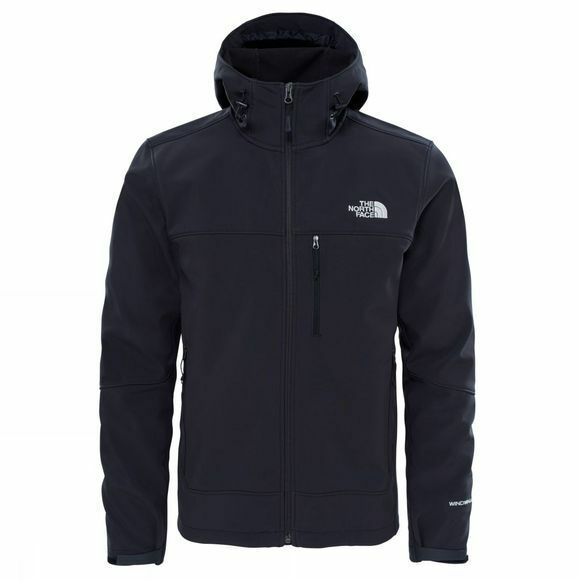 Wear The North Face Men's Apex Bionic Hoodie for a barrier against the elements in a range of activities, or pair it with other layers in extreme cold.